Kee Wee Posts Her GBR-III Round-up! 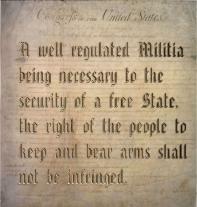 Category: Gun Stuff | Comments Off on Kee Wee Posts Her GBR-III Round-up! Here – with pics ! and links. Category: Guns, Pr0n | Comments Off on Gun Pr0n: Boom! And a good time was had by all. Please Visit Soldiers’ Angels and give. The lovely Ashley from the NRA. Nice hat! Traction Control brings the swag. Barrett M82A1, SOCOM M-14, Cali-Legal AR-15, M1 Garand, 2 Survival rifles and some pistolas. And even more gunny goodness on table two. Following Friday’s tour of the Cabella’s in Reno (with thanks to Cabella’s for hosting us), we encountered this: To give you an idea of the intensity of the storm, this was taken at the same camera angle after it was over. I blame Al Gore. Sarah Rocks Newsweak magazine. Link is to ACE . Heard on the radio: Weather guy utters the S— word! Snow possible for Friday in Reno. At Argghhh!!! Go take a peek. Insty noted the Barrett 50 in the Sarah Conner Chronicles tonight. I can testify that the damage was most definitely underestimated. P.S. 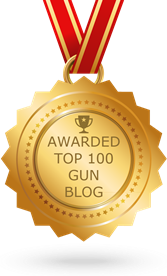 : Glenn is more than welcome to join us at the Gunblogger Rendezvous this weekend to see for himself! From Ace with a h/t Dave in Texas see Homecoming . It’s Summer Glau! Traction Control would like to extend an all-expense paid weekend to end all weekends invitation to Summer Glau, the android-babe from the Sara Conner Chronicles to the Gunblogger Rendezvous, Summer, have your people call my people. We’ll see what we can work out. Gunbloggers at Blackwater Videos are Up! 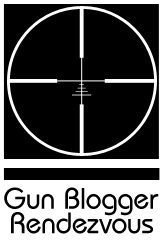 Category: Gun Stuff | Comments Off on Gunbloggers at Blackwater Videos are Up! September e-postal Match Results are up! Category: Gun Stuff | Comments Off on September e-postal Match Results are up!